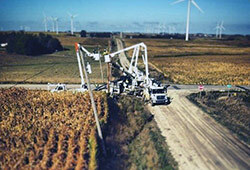 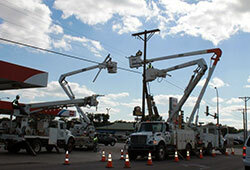 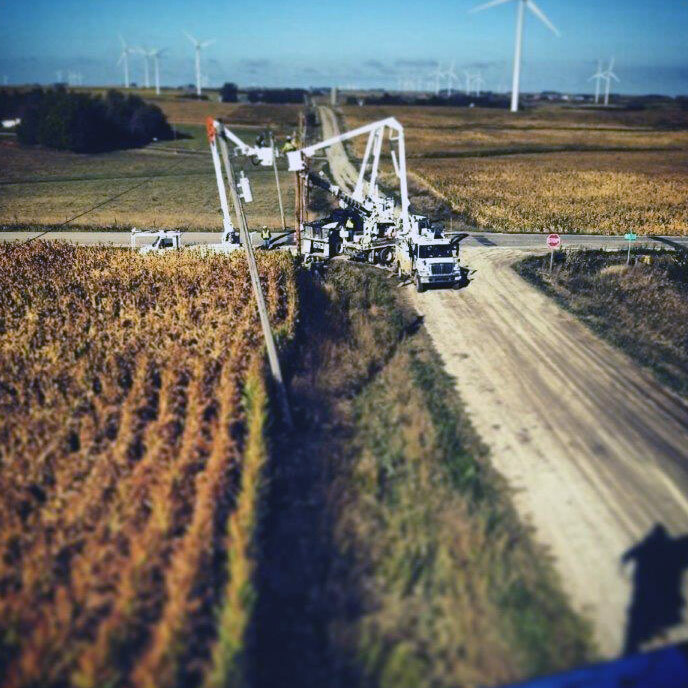 Key owns a fleet of bucket trucks, digger derricks and support equipment used in the construction of overhead electrical transmission and distribution power lines. 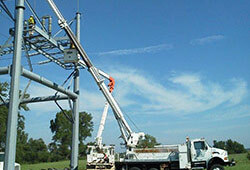 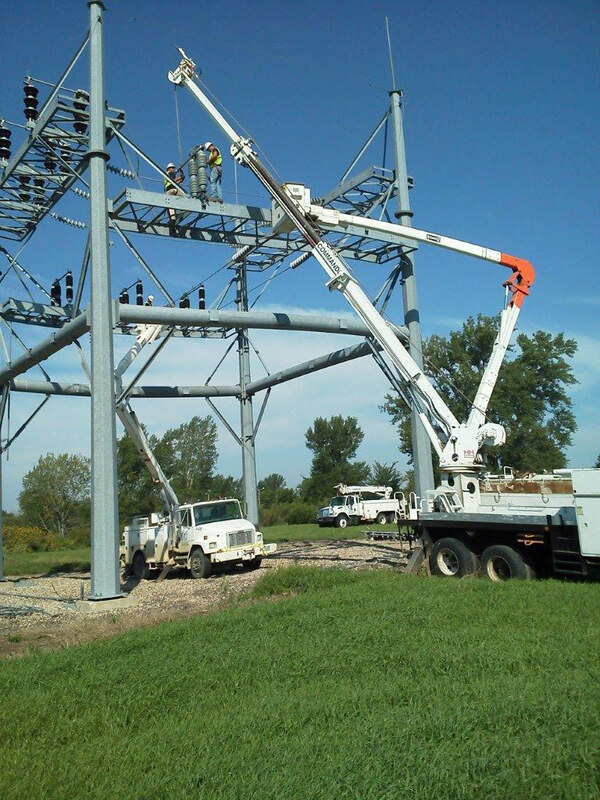 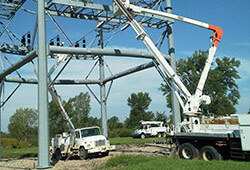 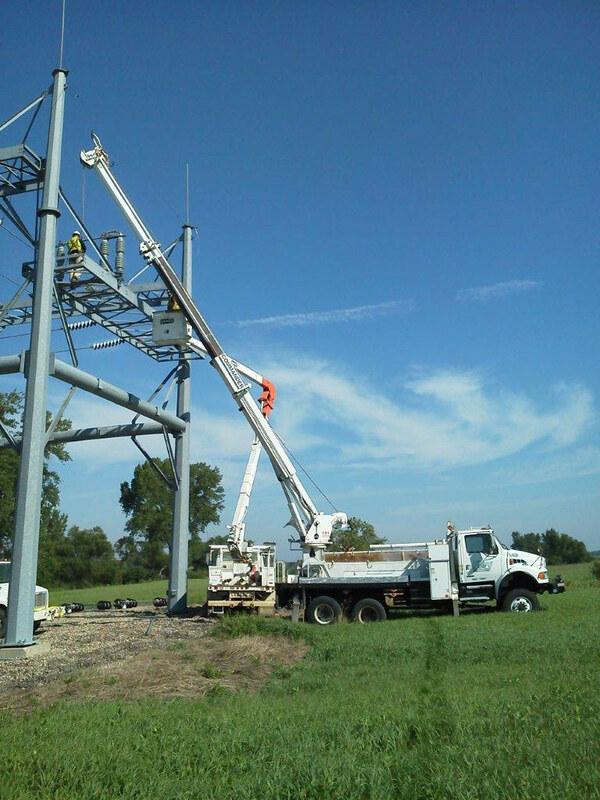 Our experience includes emergency storm repair and rebuilds; work in new or existing electrical substations; line rebuilds and conversions; pole change outs; phase raising; terminating and general maintenance. 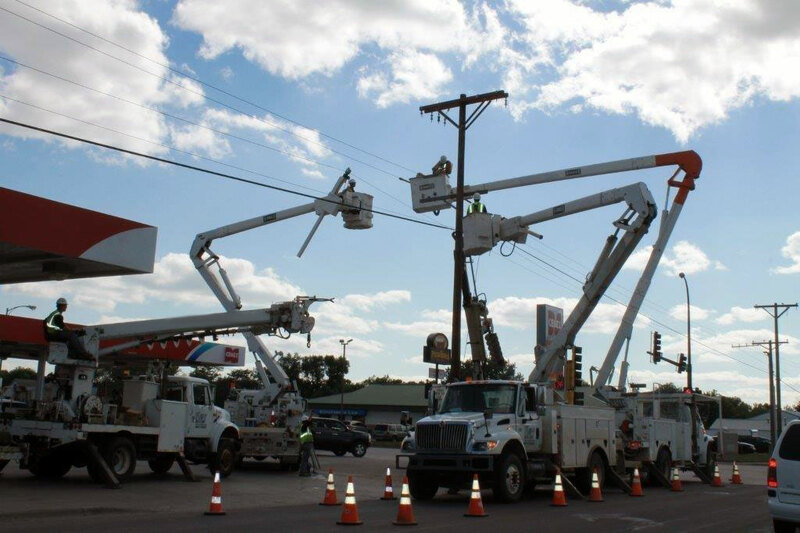 Key’s journeymen and apprentices participate in the Merchant Program, an industry leader in lineman education and certification.